March 17 (Reuters) - Valencia missed a huge opportunity in their bid for a top-four finish in La Liga as they were held to a 0-0 home draw by Getafe on Sunday to stay six points adrift of the Madrid side in the hunt for the final Champions League spot. Valencia had the better chances and their Portuguese winger Goncalo Guedes had an effort ruled out early in the second half following a Video Assistant Referee (VAR) review for offside against Kevin Gameiro. 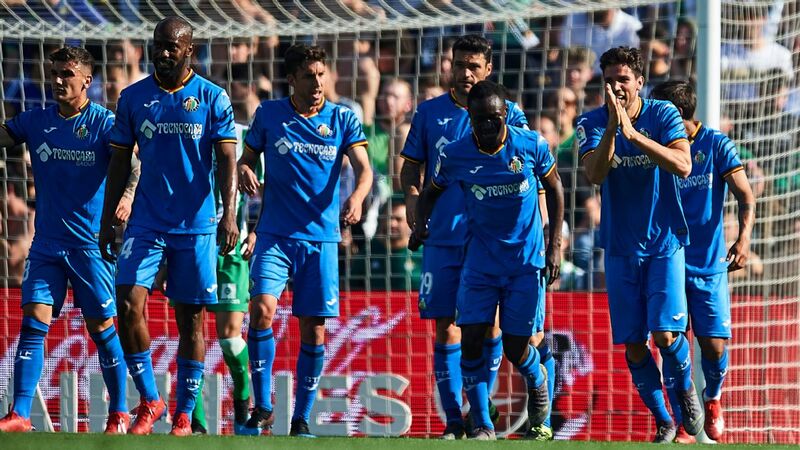 Getafe players celebrate with Leandro Cabrera after he opened the scoring. 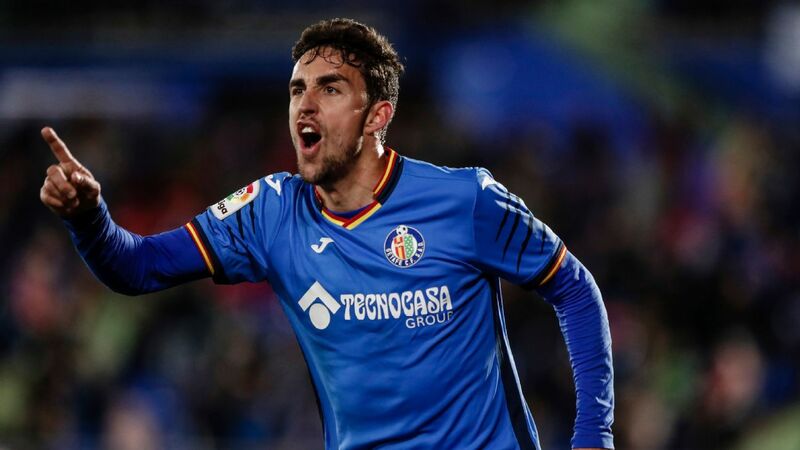 Getafe further boosted their unlikely push for a Champions League spot by earning an impressive 2-1 win at Real Betis on Sunday and climbing back into fourth place in La Liga. First-half goals from Leandro Cabrera and Jaime Mata took Getafe to 42 points from 26 games, a two-point advantage over fifth-placed Alaves, while Betis are seventh on 36 points.